It’s the fashion season once again as models parade designer clothing on catwalks in the four cities considered as the biggest fashion capitals of the world: New York, London, Milan, and Paris. 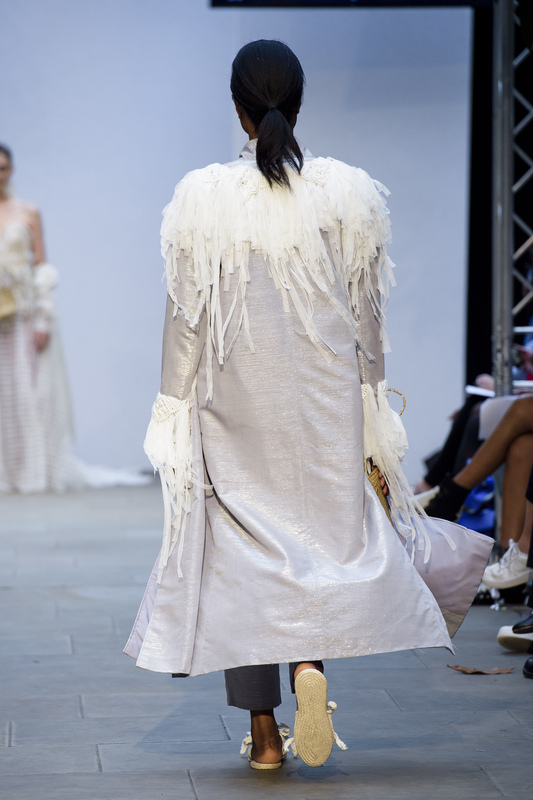 This year, in a bid to prove that sustainable fashion is the new fashion, some designers in London gave extra efforts to display clothing made slow. And one of them happens to be Audrey Dusaran-Albason, a Filipino fashion designer who transformed locally weaved fabrics into globally acclaimed apparels. Growing up in Iloilo, she chose to highlight traditional textiles after being exposed to many weaving communities and artisans. The city used to be known for its rich weaving industry in the 19th century. This is why Dusaran-Albason named her London Fashion Week collection “Pagla-um,” which means “hope” in the native Filipino dialect Hiligaynon. “Pagla-um is a collection aptly named with the hope of bringing the local and century-old weaving practice endemic to a small Philippine islands like Panay to the global consciousness,” she told Nolisoli.ph. For her collection, she incorporated fine Aklan Piña or handwoven pineapple fiber and Miag-ao Hablon or handwoven cotton with what she dubbed as “more commercially available fabrics” like lace and silk gazaar. Dusaran-Albason showcased more of a monochromatic palette dipped in the color range of beige and white. To give more emphasis to the design, she used a ribbed ropes and beaded macramé-braided tulle, the material used for making veils and dresses. “Light and heavy in one breath,” she said. Here are some of the designs she exhibited. 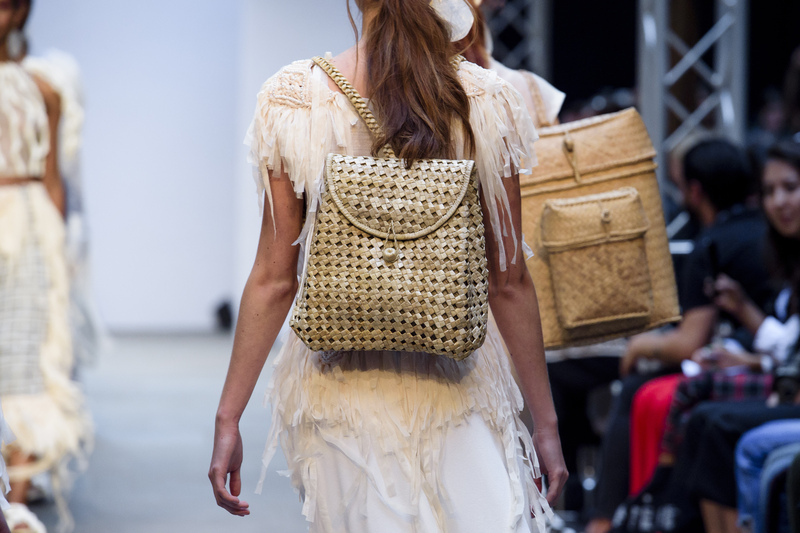 Bags made of weaved rattan, malleable stems from palm trees, were also carried by the “Pagla-um” models. Dusaran-Albason worked as a nurse before she found her passion in design. It was only until she studied at the Fashion Institute of the Philippines four years ago that she became a full-fledged fashion designer. Her distinct works posted on her Instagram page catapulted her to international acclaim after London-based Oxford Fashion Studio discovered her works. She had her first fashion show in 2017 during Paris Fashion Week, which she recalls was “a leap of faith to be honest.” Like in Paris, she was the only Filipino designer in the London Fashion Show. As our local designers and local products receive such recognitions, there is indeed “Pagla-um” in this country.